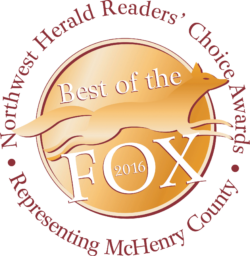 Voted Best Italian Restaurant in McHenry County! 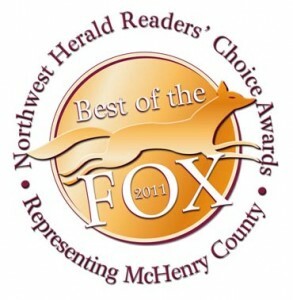 Thank you to all our customers! This entry was posted in Uncategorized on July 10, 2017 by admin. 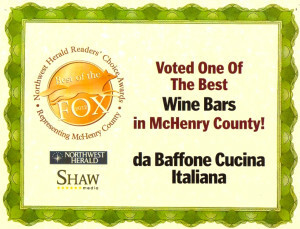 Da Baffone has received the 2016 Best of the Fox Award – One of the Best Italian Restaurants catagory. Thank you to all our wonderful customers! 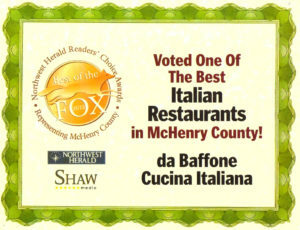 DA BAFFONE CUCINA ITALIANA FEATURES THE TRADITIONS OF NONNA’S HOUSE IN A MODERN, MAIN STREET SETTING. 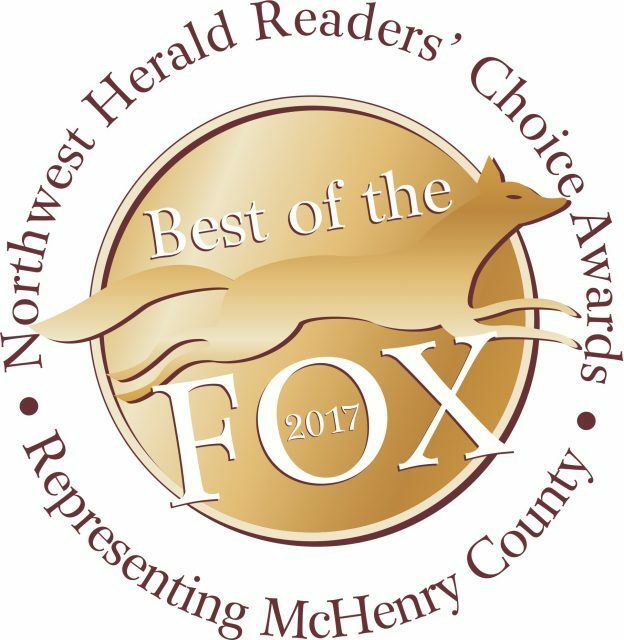 Thank you to all our loyal customers for voting us BEST OF THE FOX for Italian Restaurant, Wine Bar, Martini, Date Night, Bartender, Bar to Inspire, Conversation and Caterer. This entry was posted in Uncategorized on June 5, 2016 by admin. 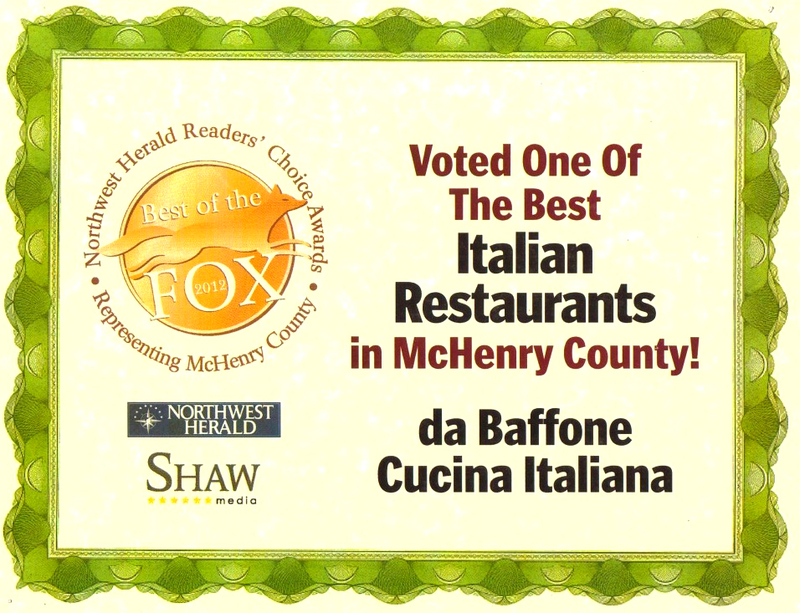 2013 Best of the Fox – Best Italian Restaurant! 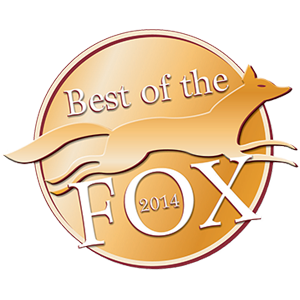 Thank you to all our customers for voting us 2013 Best of the Fox – Best Italian Restaurant! This entry was posted in Uncategorized on June 5, 2011 by admin.